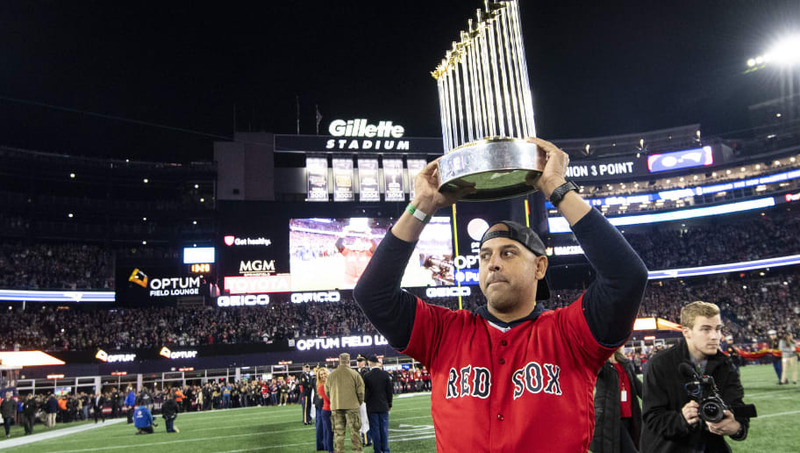 ​​Red Sox manager ​Alex Cora does not sound too sure or enthused about visiting the White House to commemorate the team's 2018 World Series title. On Thursday, Cora said he would go for now, but it seems possible that the manager could change his mind. Cora is a native of Puerto Rico and clearly remains upset over how Donald Trump and his administration handled the relief efforts in PR during Hurricane Maria. Cora said for now, he's going to the White House with a Red Sox. But he left the door slightly open because of the political debate back in Puerto Rico. And if he goes, he won't let his platform go to waste. Alluded to recent developments that have left him uncomfortable. ​​It was recently revealed that Trump tried to redirect hurricane funds for Puerto Rico to Texas and Florida instead. Cora responded to reporters "we'll see what happens" when asked if he would go. Red Sox manager Alex Cora hedges on White House visit to celebrate World Series championship. ​​The visit is scheduled for Feb. 15, and Red Sox players Blake Swihart, Ryan Brasier, Brian Johnson and Brock Holt have all said they will attend. It used to be a given that all players and teams would attend their commemorative visits to the White House, but nowadays we are seeing more and more high-profile athletes (like Malcolm Jenkins and Stephen Curry to name a few) skip out on the ceremony to protest the current administration. Only time will tell if Cora indeed makes the trip to D.C.